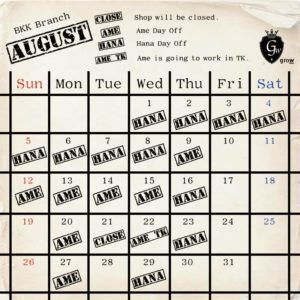 This is our BKK branch’s schedule in August!! 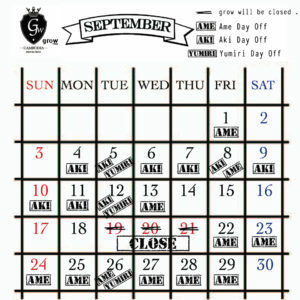 We will be closed every third Tuesday of the month. We are waiting for your reservation!! 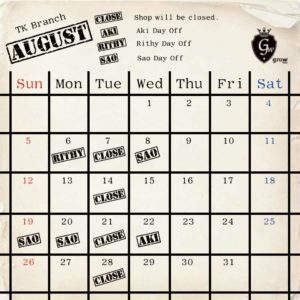 This is our TK branch’s schedule in August!! Our shop will be closed every Tuesday of the week. 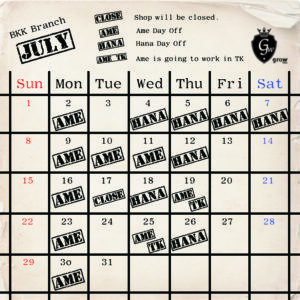 Here is our TK branch’s schedule in July! 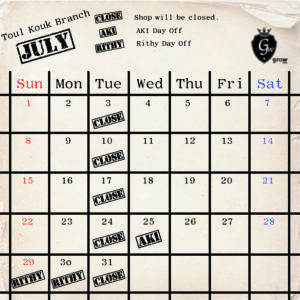 Here is our BKK shop schedule in July! We would like to inform you that Toul Kouk branch is new open! We are look forward to seeing you! We would like to you inform. 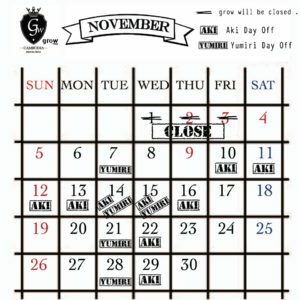 This is our schedule in November. This is our schedule in September. We have our website renewaled.